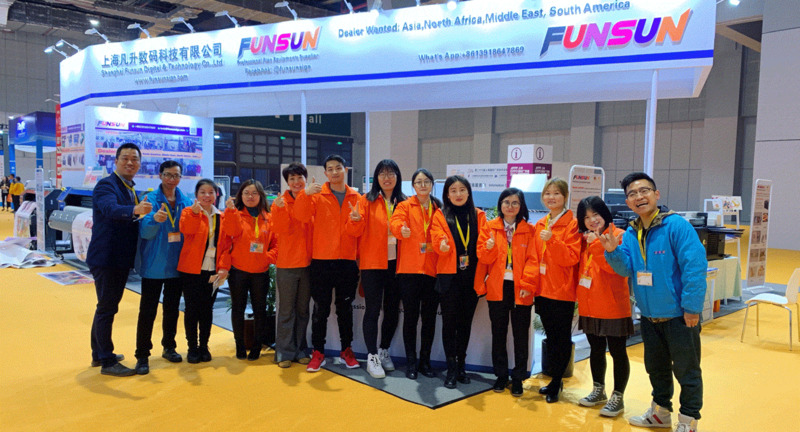 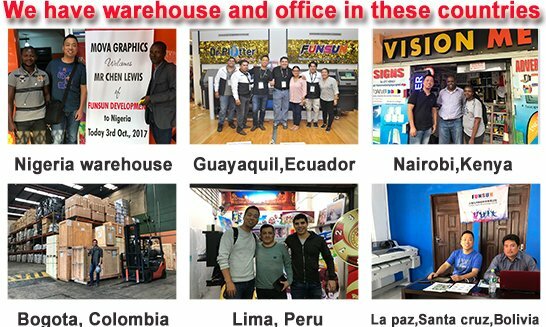 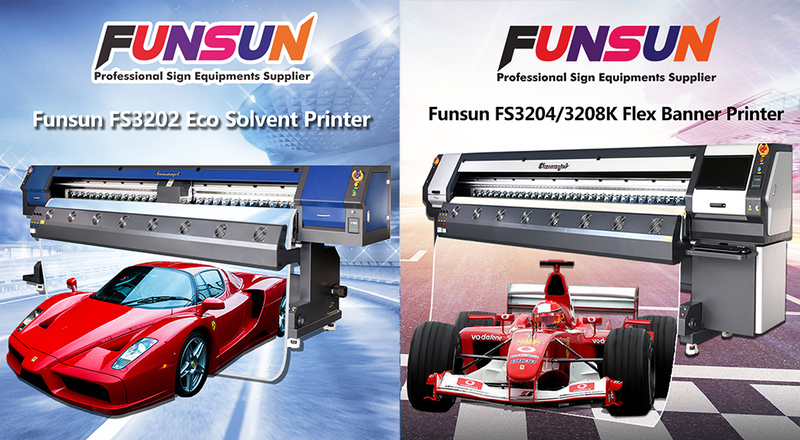 As a leading Sign equipment supplier, we (Shanghai Funsun Digital & Technology Co., Ltd.) have been in this line of business for more than 10 years (since 2005 year) and enjoy high international prestige. 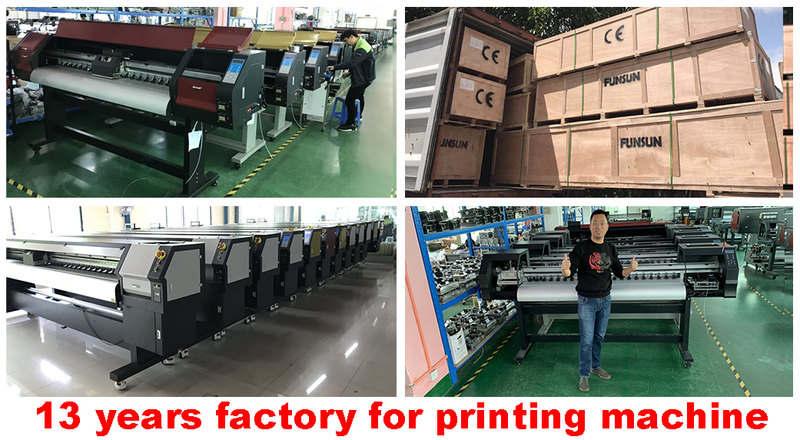 Best quality machine, best price and best service, always for you. 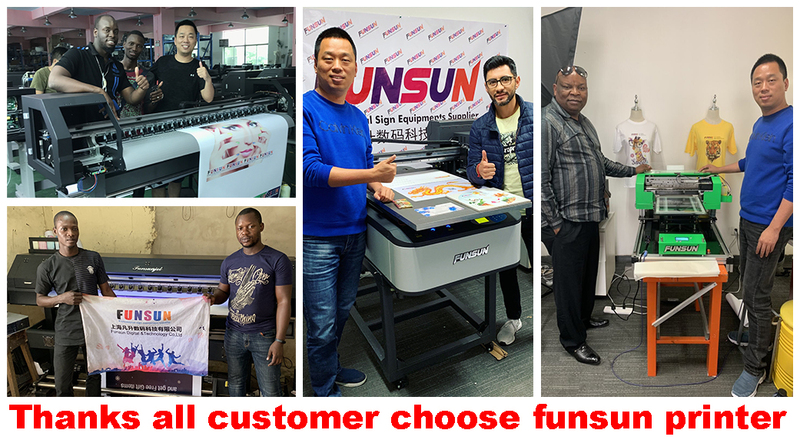 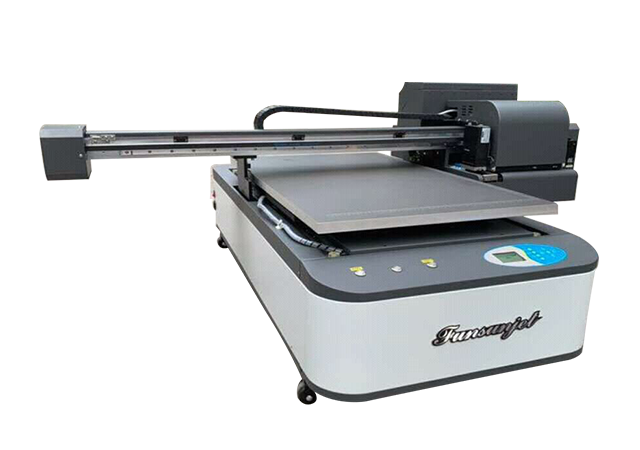 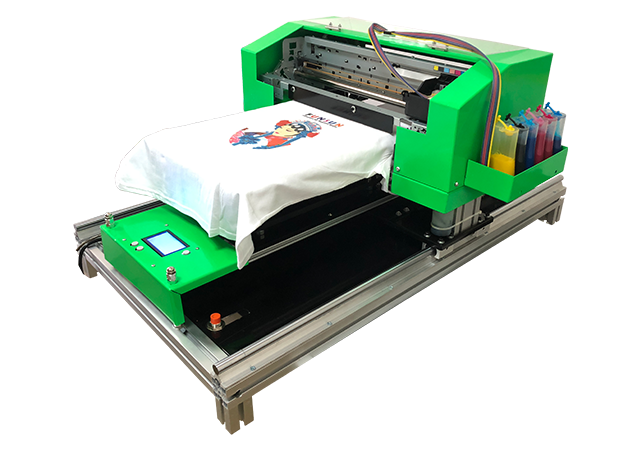 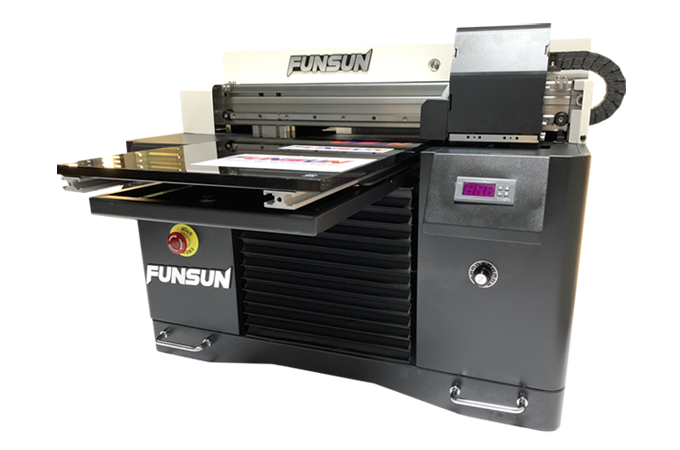 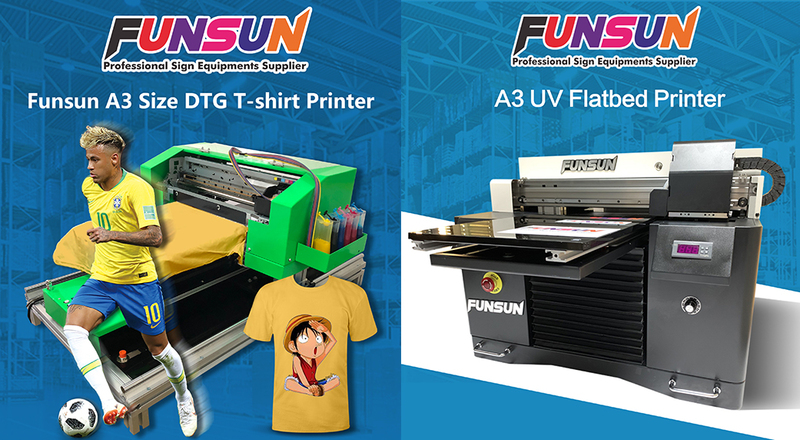 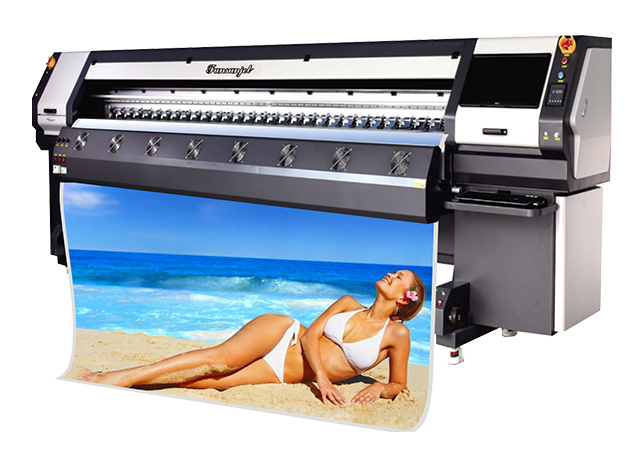 Eco solvent printer; 1.6m 1.8m 2.1m 2.5m 3.2m printing size; Epson DX5/7 head, 1440dpi; Funsunjet, Galaxy, Witcolor, Allwin, Human…..
A1, A2, A3 size UV flatbed printer; 1.3*2.5M size UV flatbed printer; Epson DX5 head, Ricoh head, Konica head; Print on Acrylic, PVC board, Plastic, Glass, Wood; Tshirt, mobile case………. 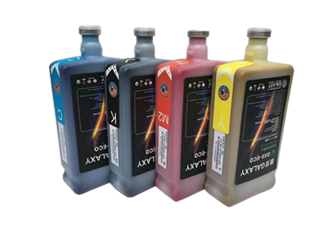 Solvent ink for Seiko, Konica, Xaar, Polaris, Starfire head; Challenger & Infiniti SK4 ink, Phaeton SK4 ink; Eco solvent ink for DX4/5/7 head; Galaxy eco solvent ink, Wit-color Eco solvent ink. 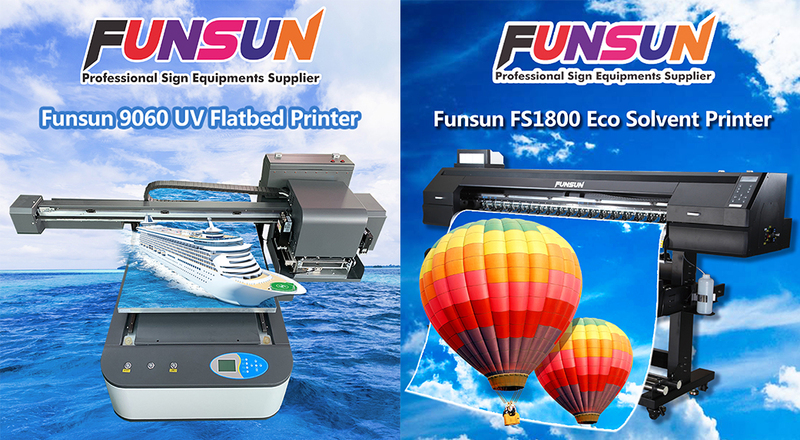 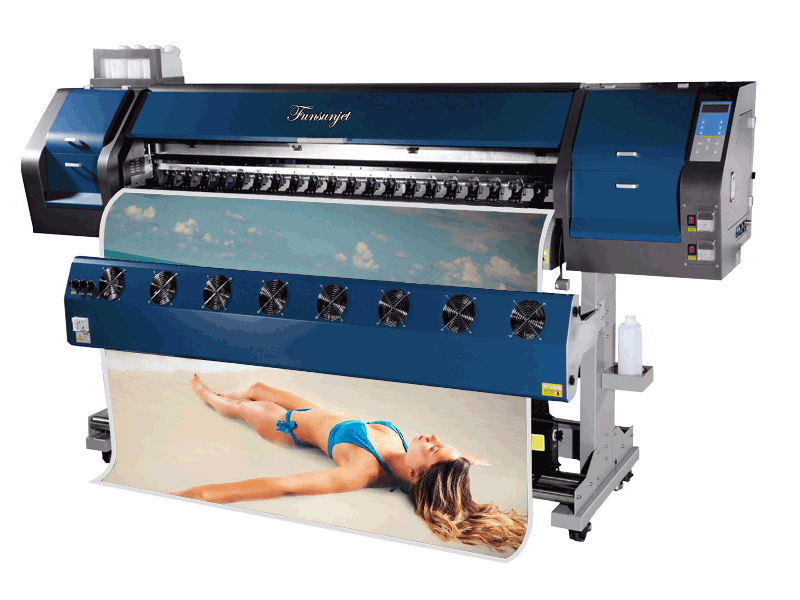 PVC flex banner; Vinyl sticker ( SAV); One way vision; Lamination film; Heat transfer paper. 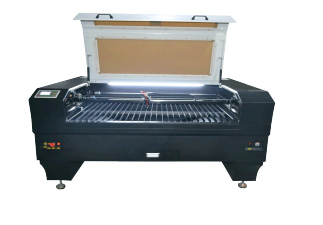 CNC engraver machine: 1.3*1.3m, 1.3*2.5m; Laser machine: 90*60cm, 1.3*1m, 1.3*1.6m; Cutting plotter. 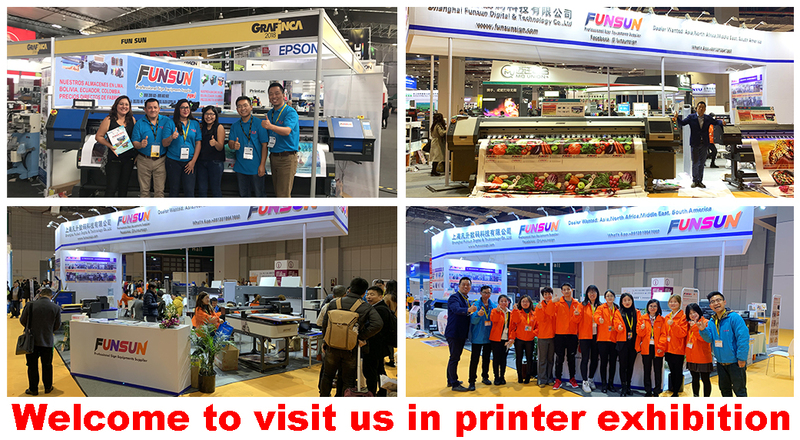 Seiko, Konica, Xaar, Epson, Spectra Polaris, Starfire head; spare parts and board for all brand printer; Challenger Infiniti Phaeton printer parts, board; Galaxy eco solvent printer parts, board. 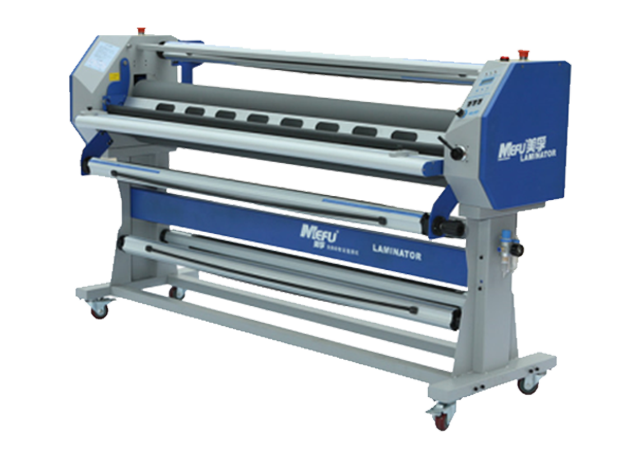 Roll up stands; Cold & hot Laminator; Banner welder; Eyelet machine; Heat transfer machine.